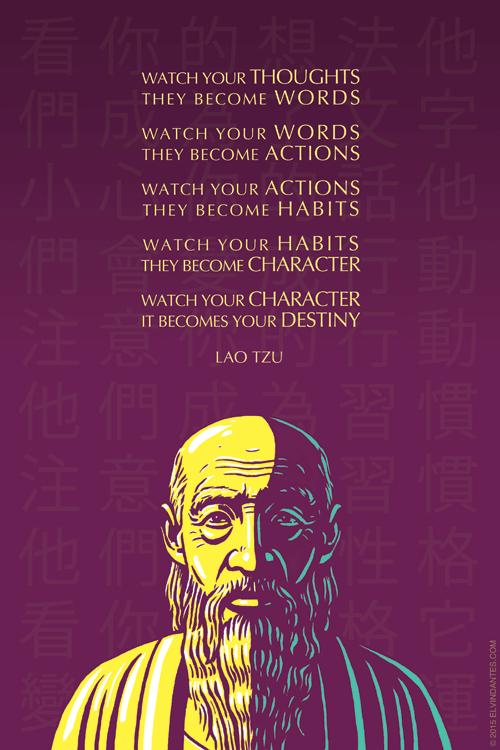 Lao Tzu warns that thoughts become words become actions become you. Posted on 2018 May 25 by johnlaudun. This entry was posted in work and tagged lifeandhowtoliveit. Bookmark the permalink.